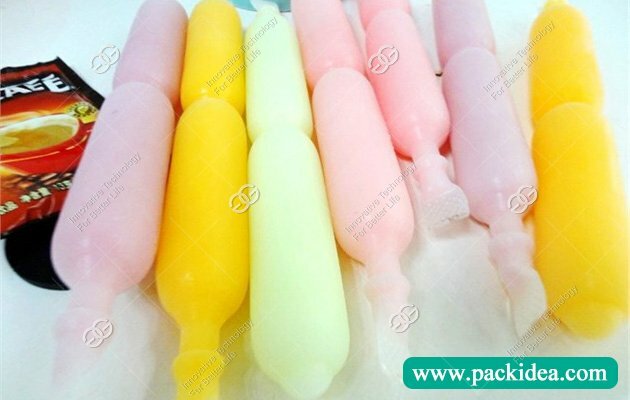 Application: Suitable for filling sealing ice pop liquid into soft tube with different sizes. 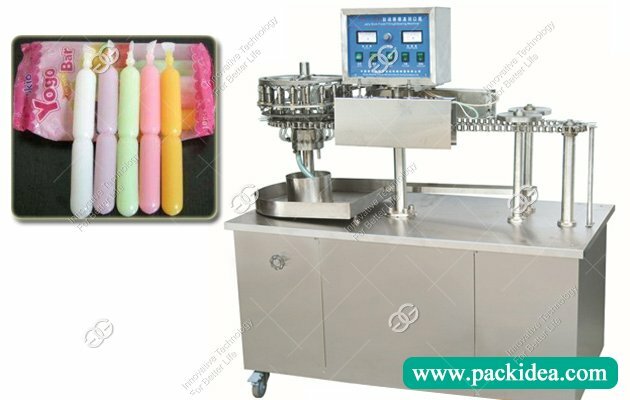 This ice pop filling sealing machine is suitable for all kinds of PP soft tube, grape, banana and other fruit shape soft tube, mobile phone, automobile and other toy shape soft type automatic filling sealing packing. 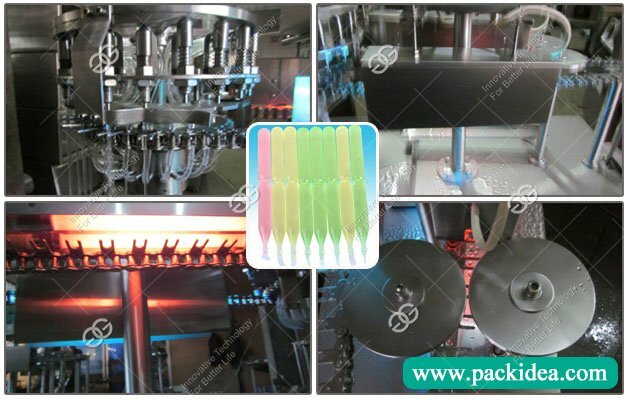 After manually hanging the soft tube, the whole machine can be automatically operated, and it can complete the process of spray filling, mouth opening, ultraviolet sterilization, heating, sealing and finished product. 1. The overall outsourcing of the machine adopts 304 stainless steel, simple structure and convenient operation. 2. We can customize large-volume pneumatic ice pop sealing machine based on customers' different production needs. 3. Adopting the imported stepless variable speed system, the production speed can be adjusted. 4. 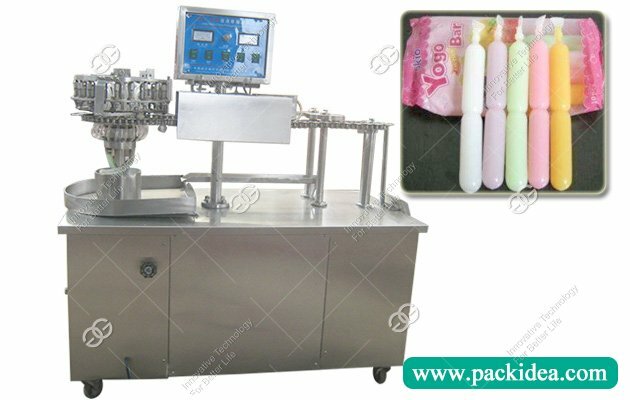 This machine is automatically completed by filling, sealing and falling.